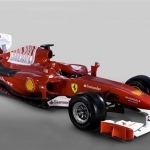 The last race of the 2012 Formula 1 season promises to be a nail biter. With the promise of rain, there are multiple stories to make this one of the most intense races of the 2012 season. The top battle is for the driver’s championship between Alonso and Vettel. Next, we have the Ferrari vs McLaren battle for 2nd place in the Constructors championship. Finally, Hamilton’s delivered a stunning pole lap in his last race with McLaren in hopes of giving the team that gave him a chance in F1 the perfect parting gift of a win. The race started with light rain, and within 4 corners, the first of the drama began. The Ferraris made awesome starts with Massa slotting into 3rd position, while Vettel made a poor start and was dropped down the field. 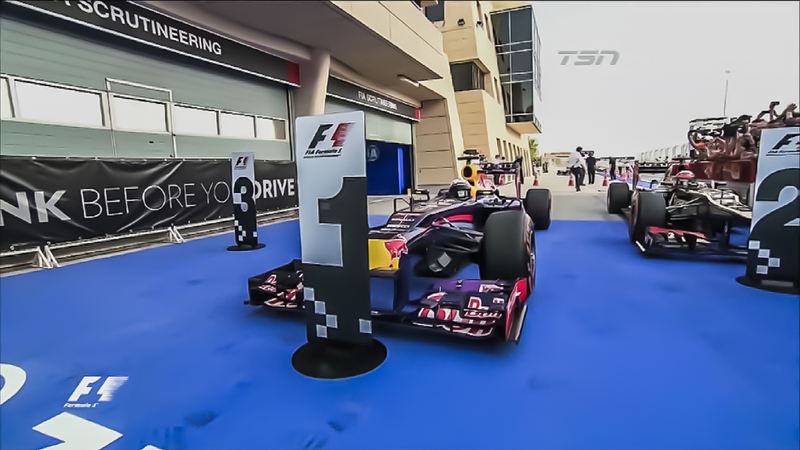 At turn 4, Vettel cut across Senna, and spun himself out. Senna’s car speared the rear right of Vettel’s car, punching a hole in the exhaust area that feeds the diffuser. Surprisingly, Vettel’s Red Bull had zero problems from the huge collision. He somehow escaped without a puncture or damaged wings and was able to work his way back up the field. 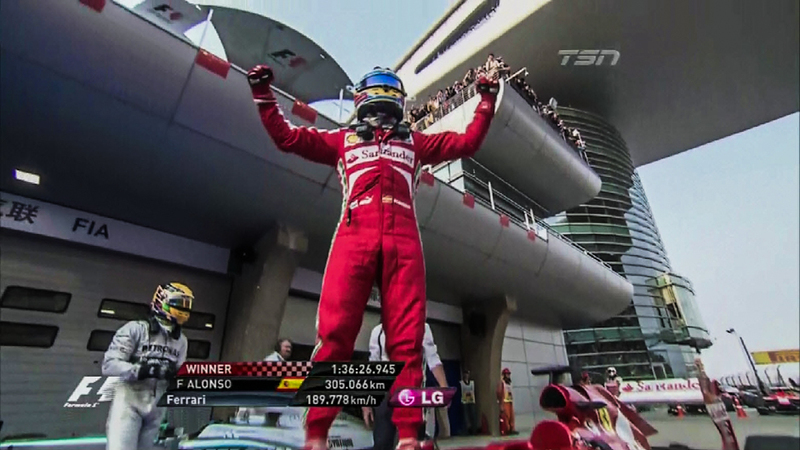 By the 4th lap, Alonso had made his way to 3rd place, which was enough points to win him the championship. Meanwhile, the battle up front between the McLaren teammates, Button was running better lap times than Hamilton and was able to pass him into turn 1. Hamilton continued to drop off in pace, and pitted for Intermediates. Hamilton’s string of bad luck continued, as the rain stopped and he struggled on the intermediates, dropping himself 40+ seconds behind leaders Button and Hulkenberg in the Force India. Shortly after, Button started to struggle, which gave the lead to Hulkenberg, leading for the first time this season. The drama continues as debris from multiple incidents was littered around the track, which brought out the safety car, closing up the field. The leaders pitted to get onto fresh tires. At the restart, it was Hulkenberg in the lead, followed by Button, then Hamilton, who was on a tear in his 2nd stint with fresh tires. He quickly passed Button, then chased down Hulkenberg. A mistake by the German allowed Hamilton through, but as the rain started again, he made a move to repass Hamilton. Unfortunately, Hamilton’s luck ran out, as Hulkenberg slid into turn 1, lost control, and crashed into the McLaren, damaging the front left suspension. Hulkenberg received a drive through for the incident, and Button inherited the lead, while Alonso moved up to 2nd place. Throughout all this, the always hilarious Kimi Raikkonen went off track, and drove through an access road hoping to make it back on the track. Unfortunately, it was a dead end. Classic. The rain once again started up, and Vettel on worn tires was forced to gamble on staying on dry tires. This proved to be a mistake, and he had to make another pit stop to get back onto the intermediate tires. 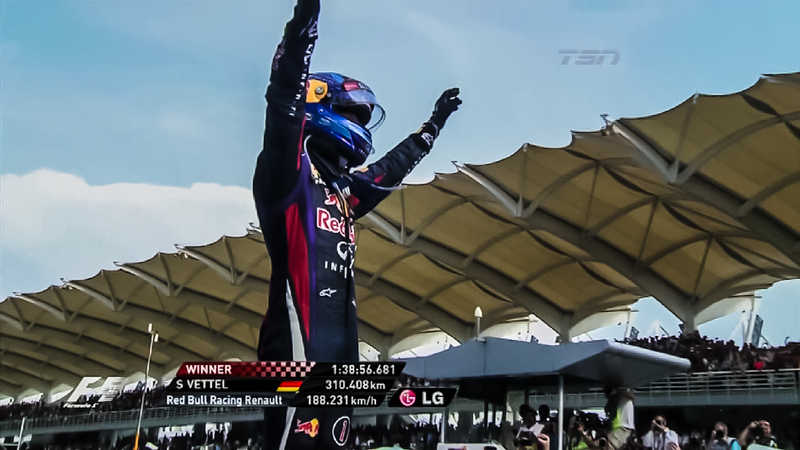 The Red Bull team messed up the stop, and dropped Vettel even further down the field. At this stage, with Alonso 2nd and Vettel out of the points, the championship would go to Alonso with 14 laps to go. Unfortunately for the Ferrari fans, that was not to happen, as Vettel made his way back up to 6th place, becoming the youngest triple world driver’s champion. 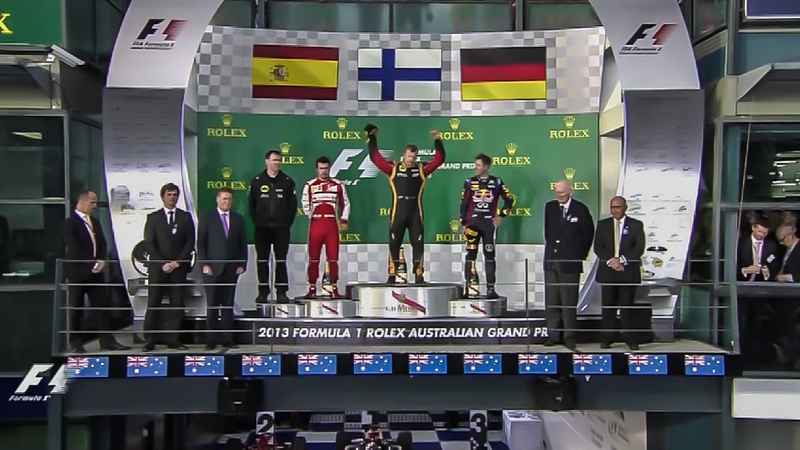 Ferrari kept their 2nd place in the constructor’s championship, while Button takes his 2nd win of the season. It was a great way to close out the season, nail biter of a race from beginning to end. See you next year at Austrailia in March! 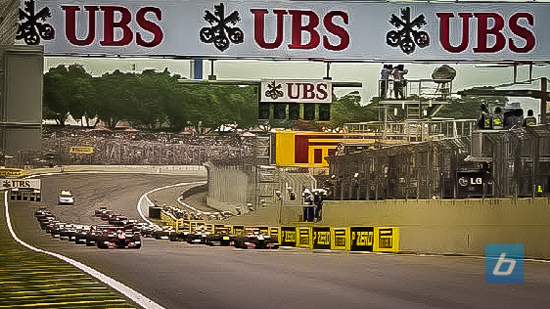 In the mean time share your thoughts on the race in our Brazilian Grand Prix discussion thread on our forums or in the comments below.